mounds of dirt just about encasing each house. But we learned that those houses are just a façade and the real homes, spacious and comfortable, are underground. That may be all right for some, especially in the summer months, but I think that if I’d been meant to live under­ground, I’d be a gopher! Opal was first discovered here in 1930 at a site now known as Treloars Hill and it wasn’t long before the news leaked out and the area was overrun with folks with dreams of making their fortunes. During the Depression years, living conditions were difficult, at best, and folks constructed semi-dugout homes in an effort to survive the blistering heat of summer. 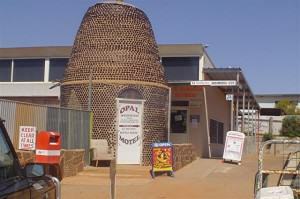 Some of these homes are still standing today and have been Heritage Listed. 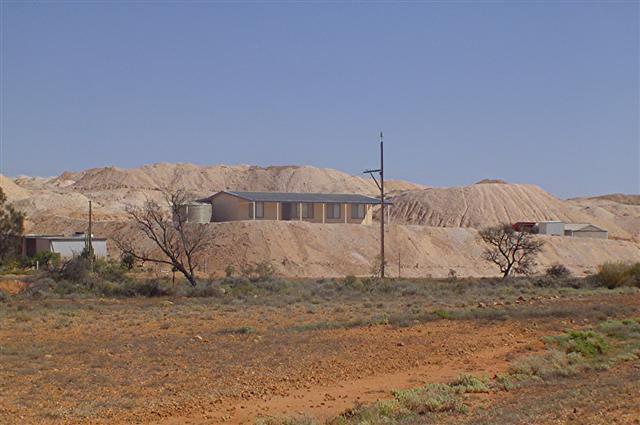 The Andamooka Opal Fields are comprised of twenty four separate fields and whereas the claims are mostly all played out, some opal is still being found here. One of the largest and most famous stones, the Andamooka Opal or Queen’s Opal, was discovered in 1954 and was presented to Queen Elizabeth II on the occasion of her first official state visit to Australia. Today it forms part of the Crown Jewels. We stopped for coffee at the grocery-come hardware store and fell into conversation with a lady who turned out to be the local policeman’s wife. She told us a little of the history of the town, which souvenir shops to visit while we were there, and recommended a drive out to Lake Torrens and the UFO landing site. Seriously, a UFO landing site. Somewhat sceptical of the whole thing we decided to wander around a few of the shops in the small shopping centre before making the 13 kilometre (8 miles) trek out to the lake. 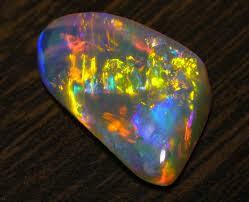 I really wanted to see some opals and we made our way into one or two of the souvenir shops. The stones on display were absolutely stunning, but for quality gems the price was way out of our league. Still, it’s hard not to be impressed with what the locals call “the fire in the stone”. Finally, our curiosity got the better of us. We stopped to pick up a map of the area and then set off for Lake Torrens. 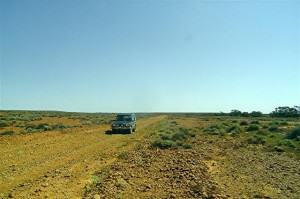 We drove east along approximately 13 kilometres (8 miles) of very rough bush track. Anything less than a 4×4 vehicle simply would not have made it and, in fact, I was beginning to think we’d have been better off in an army tank! The drive was supposed to take only about 40 minutes but it was actually a lot longer for us because we took a wrong turn and ended up practically where we’d started! You CAN get lost on the road to Lake Torrens! The map shows a trail out to the lake but what it doesn’t show are the numerous branches and intersections. There were several forks in the road and, believe me, we found every forking one of them! Finally we met up with a National Parks and Wildlife Service ranger and he pointed us in the right direction. This was one of those rare times that we appreciated being told where to go! 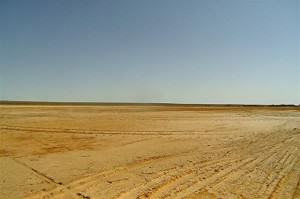 Lake Torrens is a lake without water. 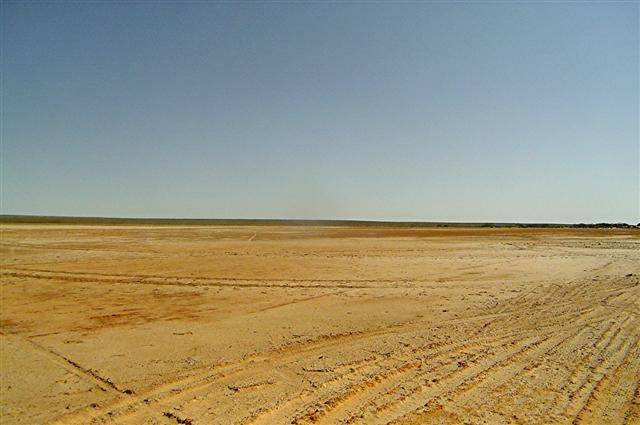 It’s a 250-kilometre (155-mile) long salt flat, stretching from Port Augusta in the south to just beyond Andamooka in the north, and it has filled with water only once in the last 150 years. Where the track from Andamooka ends and the salt flat begins is the area known to the locals as the UFO landing site. It is a huge, completely circular area that looks like one gigantic crop circle. 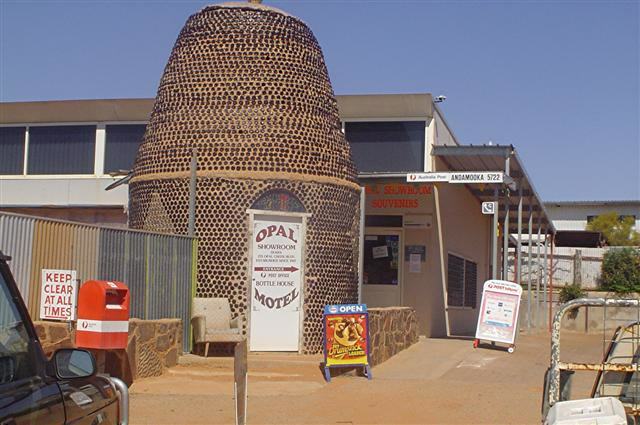 As far as is known, no UFO’s have ever landed here but I think the town is ready, just in case! The whole area is sufficiently isolated that I think a UFO could land and the aliens camp here for a week and no one would be any the wiser anyway! We stopped for lunch out there and it was not exactly your typical picnic by the lake. But after we’d eaten John thought he might “investigate” this landing site. He walked some distance out to the middle of the lake and found nothing of interest. I have no idea what he thought he might find out there but at least he didn’t take a fishing rod with him! The track continued on around what we assumed is the shoreline. Several other vehicles had previously been along this way and a fresh set of tracks was most likely from the ranger’s vehicle. It’s a long way around and we drove for over a half hour before turning back. But, truth be told, we never really had any hope of reaching the end. It is prohibited to drive on the lake; it might look solid and it will definitely hold a man’s weight, but a car? Especially a large 4×4? I don’t think so! this view. Suffice to say that words like magnificent and spectacular are most definitely understating things! On the top there are two graves with a memorial. 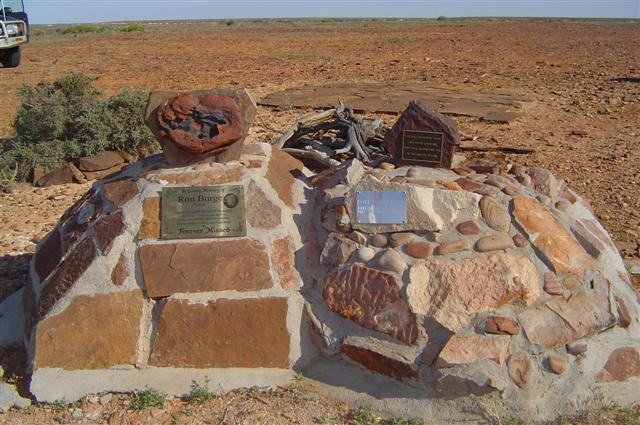 These were elderly brothers who had been opal miners in these parts all of their lives and at the time of their passing their families had interred them in the land they loved so much. We didn’t stay for long at the lookout but on the way back to town John found another little track. He would have explored it, too, if I hadn’t reminded him that as there were no facilities of any kind at Lake Torrens and it was some 5 hours since we’d been near a ladies room, we should get back to town! Sometimes men can be so obtuse! The afternoon was waning as we said goodbye to Andamooka; in the setting sun you could almost imagine that “fire” in the ground. As we drove along the road back towards Roxby Downs we passed by an old dune buggy sitting on the side of the road. Parts of the movie “Mad Max: The Road Warrior” were filmed here in Andamooka and this futuristic vehicle, a remnant from the film set, sits proudly near the entrance to the town. Can they organise a UFO for our next visit? 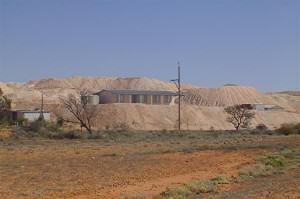 Andamooka is an interesting place to explore but the climate is not for everyone. Visitors to the region need to be aware that daytime temperatures during the summer months are hotter than hot and nighttime temperatures during winter often drop below zero. Annual rainfall is extremely low in this arid climate and, opals notwithstanding, water is their most precious commodity. 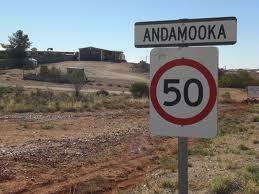 Even though the road in is sealed all the way, the town of Andamooka is wonderfully wild and completely disorganised. But having said that, it is a fascinating place and well worth seeing. Perhaps we’ll go back some day . . . and hopefully UFO’s will really land there!